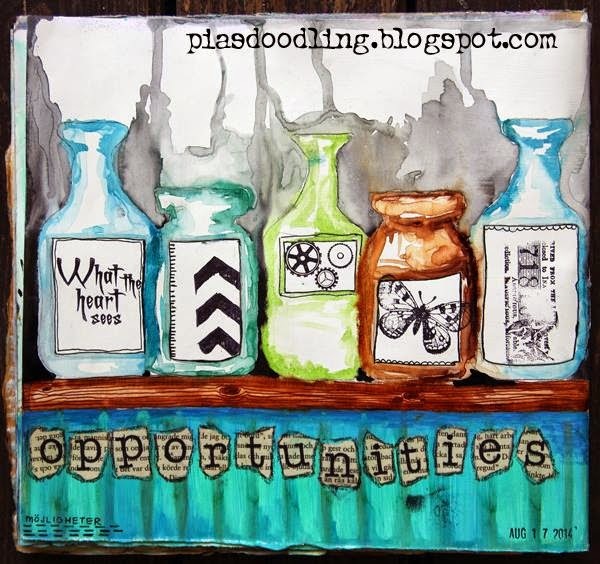 Today we have an amazing art journal page painted by our newest Design Team member Pia Astrand. She did a fantastic job using our whimsical wine bottle and glass jar templates! The entire page was made with distress inks, acrylic paints, a few stamps, and of course doodling by Pia. I fell in love with this page as soon as I saw it. 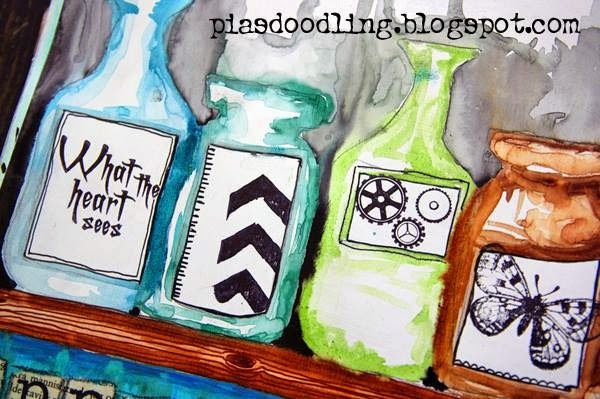 Pia really shows off a fun way to use our templates!